Melinda Prevost’s arrival at Concordia was far from conventional. 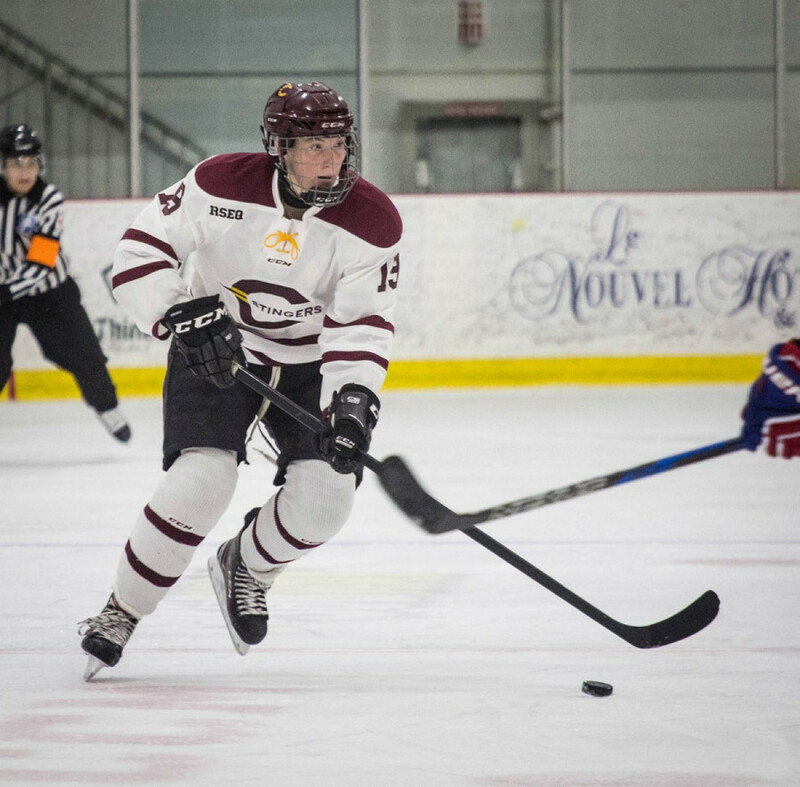 After starting out as a biochemistry major at the University of Ottawa and playing hockey for the Gee-Gees, the Montreal native decided to return home. 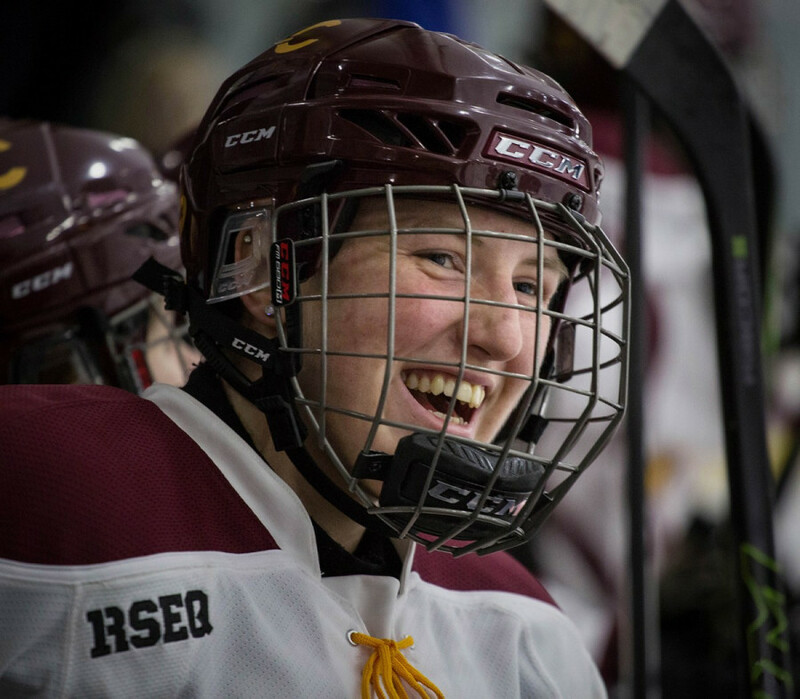 Attracted by the prospects of enrolling in Concordia’s exercise science program and joining the women’s hockey team, she made the move official. When she got here, however, she wasn’t immediately allowed to compete for the Stingers because of U Sports’ bylaws regarding eligibility. It states that any athlete transferring to a U Sports institution after being assessed a full year of eligibility at another U Sports institution must sit out a full year before being allowed to play at the new school. This is known as a redshirt year. Before Melinda could return to varsity, she had to sit out a full season, which lead her to Les Canadiennes, Montreal’s Canadian Women’s Hockey League team. 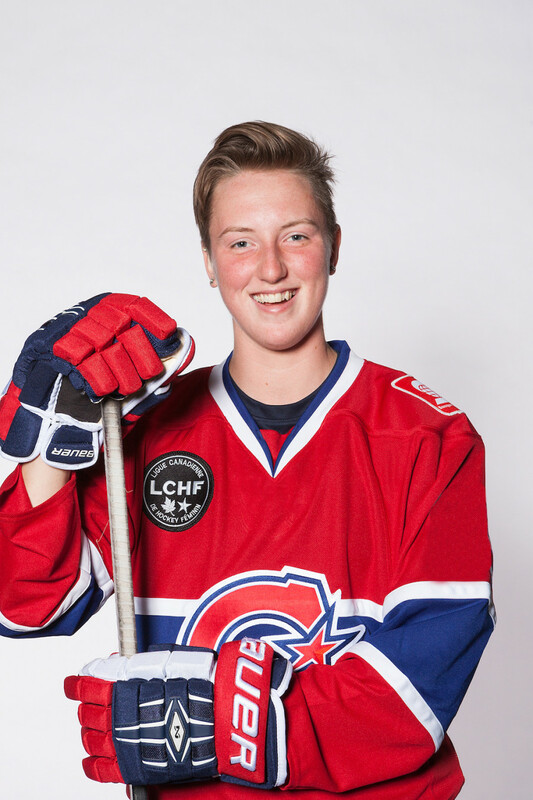 “Our trainer here [Concordia strength and conditioning coach Lisa-Marie Breton-Lebreux] is actually one of the coaches for Les Canadiennes and when she heard I was redshirted, she told me to apply for the CWHL draft,” said Prevost. Given the nature of the league, in which players aren’t paid living wages to play, the draft allows players to select as few as one and as many as three “acceptable teams” to be drafted by, allowing them to remain close to their jobs and their families. Melinda selected Montreal, and was drafted by Les Canadiennes. While with the team, Prevost played just two games, but still walked away with a wealth of knowledge and experience, which she then brought to Concordia. Prevost believes her time in the CWHL was a big step for her as an athlete. On the team with her that season were stars such as Lauriane Rougeau, Marie-Philip Poulin, and Charline Labonte. Julie Chu and Caroline Ouellette were also her teammates, and would eventually become her coaches at Concordia. Julie Chu, the Stingers’ head coach, said she enjoyed having Prevost as a teammate. In the CWHL, a majority of the players are already out of university. They’re around each other on the ice, but then go off to their other jobs. This creates a very different environment than in university hockey, where the players will spend much more time together. While being coached by a former teammate might be a drastic change in dynamic, Prevost and her coaches took it in stride. Chu believes that Melinda’s time with Les Canadiennes was beneficial despite her not logging a ton of ice time. One of Prevost’s main reasons for having her heart set on Concordia was the school’s top-notch exercise science program. As an athlete, it takes a tremendous amount of effort to keep your body in shape, and as an athlete with diabetes, there’s even more variables to worry about. Unfortunately, sometimes things don’t go as planned, and it affects her game to a certain extent. For the most part, though, she’s able to manage just fine. Chu also believes Prevost’s attentiveness to nutrition has helped the rest of her teammates as well. Overall, Prevost seems to have found her place here at Concordia, and has seen her team get off to a good start. Through nine games, their 6-3-0 record is good for second place in the Reseau du sport etudiant du Quebec rankings, and second in the U Sports national polls. She and her teammates are looking forward to what the rest of the season has in store for them.